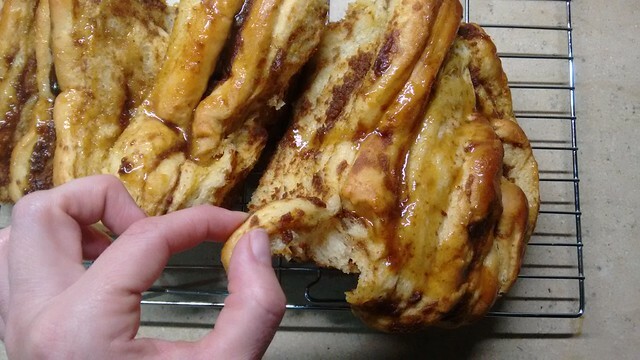 Can I tell you one of the best parts about pull-apart breads? There is no portion size! You can't tell if you've eaten one roll, two or 6. (Okay maybe that's the best and worst thing about them). They are addictive and you just. keep. pulling. at. them. This one is so endearingly fall. Gooey and sweetly spicy and just what you need when three RCs come over to to cuddle in blankets on your couch. Taken from Will Cook for Smiles. Click HERE. *Please note that I made my own sweet, yeast dough instead of using pizza dough and it was perfection.